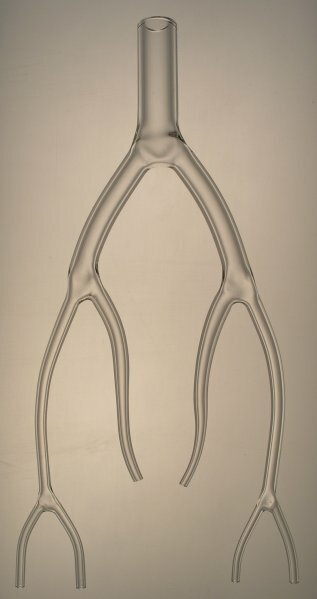 Bifurcation models are perfect for demonstrating the manueverability of guide wire fed devices. These can be made in almost any configuration. The model pictured to the right starts with a main entry I.D. of 8mm which tapers off to six 1mm I.D. branches.